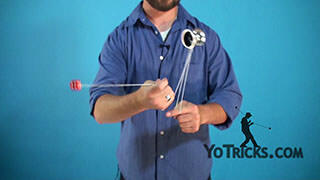 Learn how to do the Bee Sting Aerial Freehand yoyo trick. 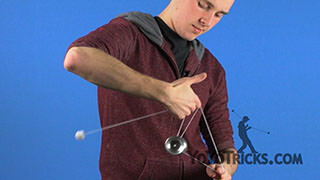 Bee Sting Aerial builds directly off of the Bee Sting trick in our 5A fundamentals series, so if you have not mastered Bee Sting yet, go back and learn it. 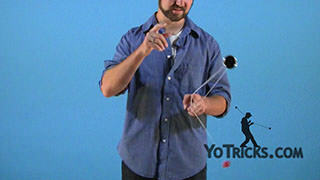 Bee Sting Aerial, as its name implies, is an aerial trick. 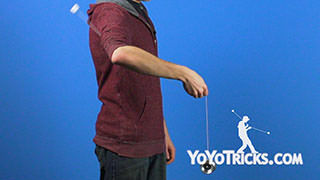 This means that at some point during the trick, neither the counterweight, string, or the yoyo is going to be in contact with my body. 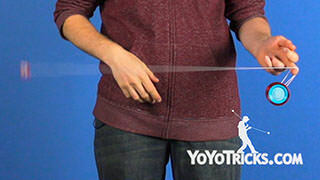 Right there. 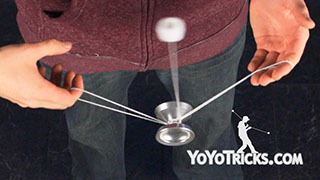 So this presents some challenges when you are learning the trick. 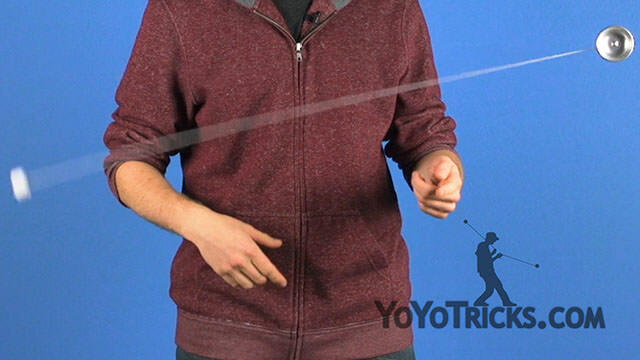 Because there is a period of time when you have no control over the yoyo, you really want to make sure that you are practicing the trick with a yoyo that you are very comfortable dropping, because you are going to drop it. 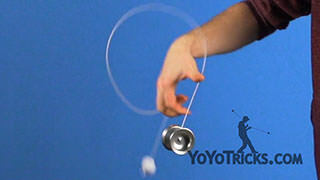 So, let’s start learning the trick. 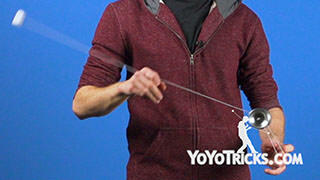 So when you are learning Bee Sting Aerial, you want to start in a trapeze, and you want to set yourself up just like do for Bee Sting. 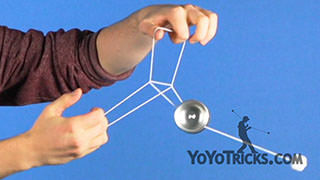 So you want to get into your proportions, you want to make sure that the yoyo is close to your finger. 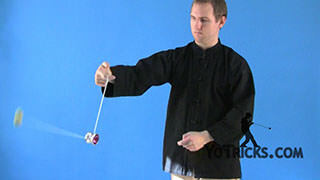 We are going to start Bee Sting Aerial just like we do with bee sting, but doing a 360. 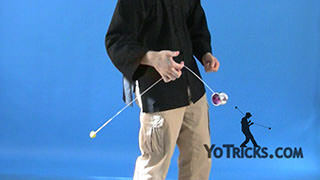 Rather than hopping off the 360 and sticking our middle finger out and landing into an undermount, instead what we are going to do is gently lift our opposite hand pointer finger which is going to launch the yoyo into the air. 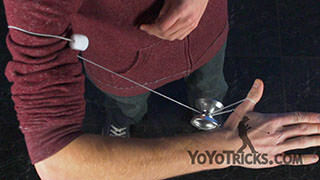 There is actually a lot going on with this launch, so let’s break it down to make it easier to learn. 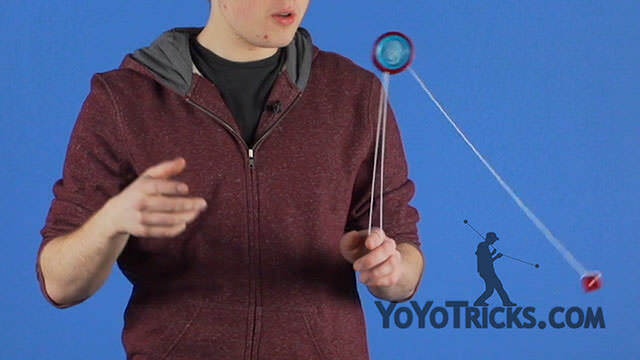 Just how I mentioned earlier in the video, you want to launch the yoyo into the air right when you would stick out your middle finger for regular bee sting. If you have already mastered regular bee sting, this timing should feel very familiar to you. 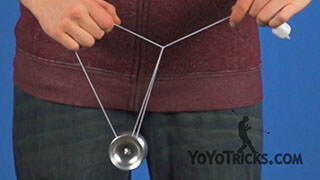 Right when I am getting ready to launch the yoyo into the air, I want to lower my opposite hand. 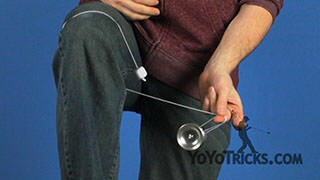 Then I want to pull it up about three to five inches, which should give the yoyo enough energy to make it over my pointer finger. 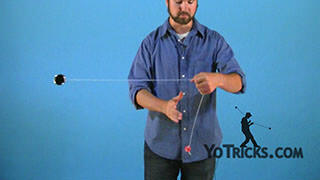 When you are first practicing this trick, it is possible to put too much force behind the yoyo, so just make sure, take it easy, do not over do it. 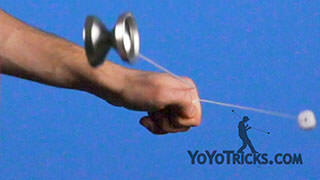 Now that we have considered force, we need to consider trajectory. When you are first performing this trick, it actually will feel really comfortable to launch the yoyo slightly out to your opposite hand side. 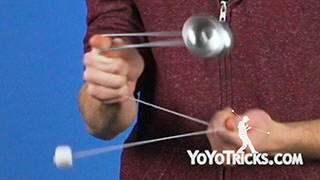 That is the exact opposite of what you want to do and it actually makes the trick more difficult to learn. 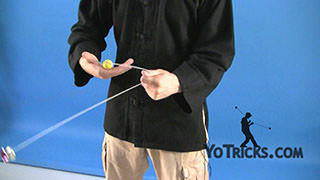 Instead, what you want to do is right at the top of the upwards motion that you make with your opposite hand, you want to pluck the string just a little bit towards your throwhand side. 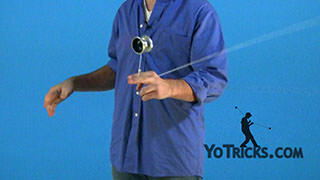 That will actually work to balance the momentum of the yoyo and the counterweight, making the trick much easier to land overall. 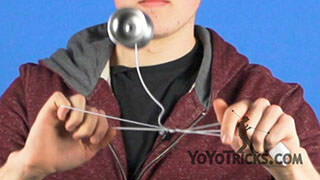 Once the yoyo reaches its apex, gravity is going to take over, and the yoyo is going to start to fall. 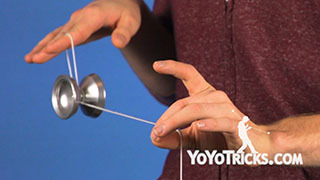 When that happens, you want to stick your pointer finger underneath the string, as close to the yoyo as you can get it, which is going to make the trick easier to hit. Then the counterweight is going to continue its motion and go around into the gap of the yoyo, into an undermount, from where you can perform a bind. 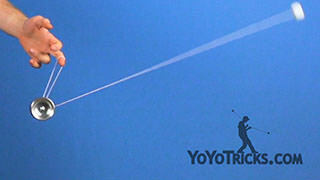 And that is Bee Sting Aerial.